Digitalys had the most liked content! I see it like this: When artists create their music because they know beforehand that style will appeal to the big crowd and only want to do it because of that reason, then it is commercial. When artists create a track because they feel it might induce a trance state to certain listeners, then it is not commercial. If the latter appeals to most listeners just because it is decent and musical, and the artist ends up making a lot of money from it, it is still not "commercial" for me. Looking forward! What a lineup!! I never got into their style, though I keep hearing they make such intelligent music. I've heard them live once and checked all their releases. These 3 tracks I like (and sometimes play in my dj sets as transition tracks): High Density, Rotation Generation & Earth Orbit. For me the most important thing is the story: It has to fit in the lineup (take over from what went before and/or bring something different if needed) and within the set it has to go somewhere. I love it when there's a buildup and the set gets you ready for more experimental or "difficult" trance music and when the right classics gets played at the right time. For the rest I have the same opinion as Hasheeshian. 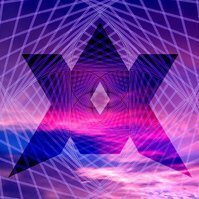 Forestdelic Records - Where To Start? Where to begin... Could you maybe post some of your favorite tracks or parts? Then I can recommend you tracks in a similar style. A lot of decent labels and subdivisions were mentioned here. I usually see these big subdivisions in the genre. I put my biggest recommendations in the beginning of the sum up. I think your taste in Forestdelic Records resembles the "abstract" sum up the most. I also posted my dj sets here in case you want to hear a lot of recommendations at once. A) Oldskool Forest / Melodic Forest: Schlabbaduerst Rekkords (check out their Bandcamp and also the Bandcamp of the individual artists like BOTFB, Ka-Sol and Zoon), Chronicle of Mystery Records, Kiriyama, Kluster. B ) Sanaton style "mossy" Forest (I'm using Sanaton in the name here because they were the first label that I listened to that was releasing this style): all the Hallucinogenic Horses Artists (Derango, Traskel, Makadam etc...), Attoya, The Cure Records / Medulla Oblongata Records, Flipkompagniet Records (Smuds, Volapyk, Orhm), Treetrolla Records, Mighty Quinn Records (latest VA!! ), Shivattva, Oneiromanix, Digital Shiva Power Records, Vantara Vichitra Records... C) More "abstract" Forest that leans closer to Dark Psy: Parvati Records (a lot of variety here, all quality, my fav release is Arjuna - Primal Contact), Farebi Jalebi, Phreex Networx, Lost Theory Records (also a lot of variety and some "Sanaton" style too), Sonic Loom Records. A lot of Japanese artists in this style too like Gu, Jangaramongara, Shiibashunsuke... D) And then there's this label that releases a very distinct and unique style that I can't put anywhere else: Yggdrasil Records!! Loke / Hutti Heitta / Freeform Syndicate + almost everything else released on there. The sound that starts at 4:24. Goosebumps everytime! @Ormion Thanks for posting that EvY track! It's been ages since I listened to that album as a whole and normally only put on my favorite tracks from it. I have a bit of both: I listen to every single release (within certain subgenres) coming out via Youtube, Discogs, Bandcamp at least once. When something really is my thing I can put in on repeat multiple times a day, for days on straight. Usually I try mixing other tracks that I think are similar into it and try out multiple ways and write the best one down. So yeah, a lot of repeats for me too. Even though this is an old thread I feel obliged to get some misinformation out of the way. I cleaned 100ths of discs and checked what the ripping process (with EAC) does afterwards. This is how you do it: 1) To get rid of dust: Dust off the disc with a soft brush (like a makeup brush) 2) To get rid of grease, finger stains and thick layers of dust: Do NOT use any kind of alcohol on your cd's as this will eat through certain types of plastic! There are multiple plastic layers underneath the data layer. Instead use a ph neutral soap (like baby shampoo, not dish washing soap) in water (preferably demineralised, but that's not really necessary). Use a soft micro phibre cloth to rub it inside out (never in circles). Then rinse it off with water. Afterwards let the disc air dry. 3) To get rid of scratches: This will only work on superficial scratches in the bottom plastic layers, not on deeper ones, not if the data layer has been damaged and not if the scratches are radial. I used tooth paste (must be whitening toothpaste because that has a grainy texture) and rubbed this over the scratch with a cloth. This way you polish the cd and scratch off a part of the layer, taking away the scratch and allowing the lens to read through a solid surface again. I fixed almost half of my scratched tracks with this, I kid you not! I gathered this info from many resources years ago. All my cd's still work.